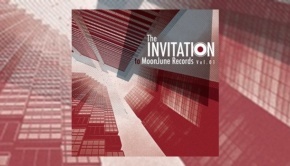 A rich vein of qualitative progressive jazz/rock/fusion can always be found over at MoonJune Records and across many years now I’ve discovered a fair few gems there. One of the more recent is Indonesian guitarist Dewa Budjana who I have no doubt will be a relatively unknown name to many, although within his native country he is well established in his ‘day job’ with commercial rockers Gigi. A band who have enjoyed a twenty year career releasing albums annually, with impressive five figure unit sales. The focus of this review however is on Dewa’s solo works and in particular his 2014 release, Surya Namaskar (Salute To Sun). 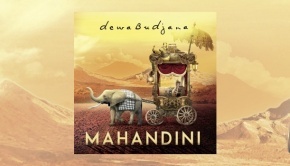 Along with his output with Gigi, Dewa Budjana has released seven solo albums, with the latest three appearing within the last eighteen months, or so, on the MoonJune Records label. With such a relatively short time frame between releases there may be a tendency to recycle material or ideas, but this certainly isn’t the case here, as each of the three albums has a flavour and style of its own. Dawai In Paradise (2013) reflected differing stylistic moods, perhaps a reflection that the material had be culled over a number of years, but still, an absorbing album. A nice illustration is the track below, recorded here at Gedung Kesenian (Jakarta) in December 2007. Kromatik Lagi and can be found on Dawai In Paradise album. The same year saw Dewa follow up Dawai In Paradise with the equally impressive Joged Kahyangan, which once again looked into his back catalogue. An impressive cast of top notch musicians appeared on the album including world renowned drummer Peter Erskine and the incomparable Jimmy Johnson on bass. The album also featured are Larry Goldings (piano & Hammond) and Bob Mintzer (saxophones & clarinet). The album opens with Fifty, a celebration of a landmark age recently reached by Dewa. A spiralling little piece with an infectious melody and nicely complemented by Gary Husband on synth. Duaji & Guruji on the other hand has a rockier edge to it, whilst still retaining a vigorous intensity within a jazz fusion mould. Again immensely infectious and icing on the cake with Jimmy Johnson turning in a splendid melodic bass solo. A track that is electrifying from start to finish. Capistrano Road on the surface is a more laid back affair allowing Dewa freedom to play some sweet guitar. Great fretless work from Jimmy and I have no idea what Vinnie is playing here, but I’m not complaining. Lamboya is currently the favoured tune, receiving slightly more repeats than the other tracks and to be honest I’m not entirely sure why – perhaps just the way the guitar floats effortlessly across the 11/8 rhythm. Now there’s no denying the influence of Dewa’s ethnic and cultural background on these recordings and it certainly comes to the fore in the albums sprawling epic Kalingga. The pallet is expanded here with the Eastern flavoured guitar sounds, the guest musicians Kangiya (Kacapi ~ Sundanese harp) & Kang Pupung (Tarawangsa ~ Sundanese violin) and vocalisations from Mang Ayi. I’ve refrained from offering any comparators within the review but certainly the influences of guitar legends Allan Holdsworth, John McLaughlin, Pat Metheny and to certain extent Al Di Meola are present, but testament to Dewa’s skills that these remain as influences. The material throughout is well written and constructed and with Jimmy Johnson and Vinnie Colaiuta forming the rhythm section this was always going to be a winner. Surya Namaskar was recorded during two sessions in 2013 and the production values throughout are top notch – as one might be expected from engineer Robert Feist (who was worked with Allan Holdsworth on numerous albums). Comprehensive sleeve notes in a great gatefold cover complete this great package. And if all this is not enough the next studio album is underway drummer Antonio Sanchez (drums), Joe Locke (vibes) and Ben Williams (bass). The yet to be named album is scheduled for release circa October 2014.